The application involved heating six brass block and carbon contact assemblies to 242 °C (468 °F) within 30 seconds for soldering. There were various assembly sizes, so they all needed to heat within the targeted time with the specified induction heating coil. The client turned to THE LAB at Ambrell and took advantage of complimentary applications testing. 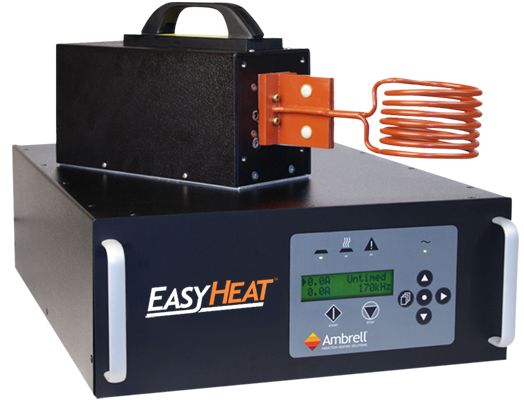 The Applications Lab was able to design a six-position coil and pair it with the optimal EASYHEAT. The system and coil met their objectives, as it could heat six of their largest assemblies concurrently within 30 seconds and the smaller assemblies could achieve temperature more rapidly. The client replaced an old induction heating system from another manufacturer that was failing. The applications expertise from THE LAB, the increased speed of heating, and the smaller, more efficient power supply were the primary reasons why the client chose Ambrell. To learn more about Ambrell’s best-in-class Applications Lab, or to learn more about Ambrell, visit www.ambrell.com or call +1 585-889-9000.